IRISH INTEREST IN the traditional Washington St Patrick’s Day celebrations has surged this year, in the wake of Trump’s shock win last November. 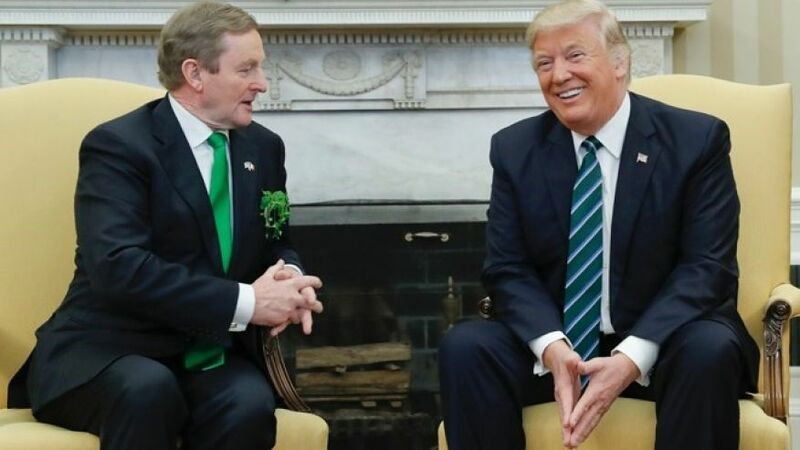 Almost as soon as the controversial businessman clinched victory, attention turned to the annual White House visit – with some arguing Enda Kenny should decline the invitation this year. The Taoiseach was asked repeatedly in the run up to the visit whether he intended to raise subjects like the travel ban affecting Muslim-majority countries like Sudan and Yemen. There was also speculation over whether Kenny’s comments last year that Trump had used “racist and dangerous” language on the campaign would come up, when the two men met. Those remarks, made in the Dáil last May, were put under a renewed focus this week when former UKIP leader Nigel Farage said the Taoiseach should apologise to Trump. As a result, Kenny was asked to respond to Farage’s remarks during a US media op.